On Monday 9th May, I had the privilege of attending a conference organized by Overseas Development Institute (ODI) and One World Media on lessons to be learnt from the role of the social media in the revolutions in the Arab world, notably Tunisia and Egypt. Amidst all of the seeming excitement and euphoria over the tremendous power of the social media (Facebook, Twitter, Youtube, Blogging etc) and all the lovely benefits it can spread to the world by encouraging accountability, freedom of expression and promotion of democracy in general, the panelists notably James Deane, Head of Policy, BBC World Service Trust; Mark Harvey, Executive Director, Internews Europe and also Jonathan Glennie of ODI sounded a note of caution. 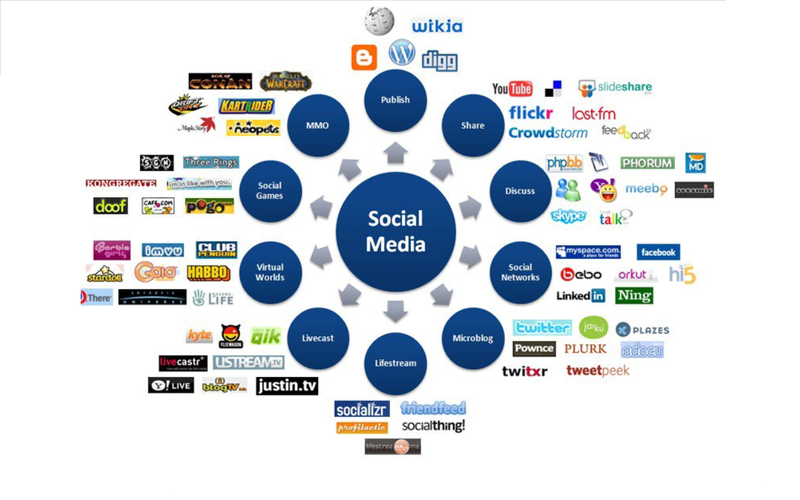 Their skepticism centered on the potentially negative consequences of this ‘power’ of social media in some situations particularly in developing countries, where it can be used as an avenue to easily and rapidly spread stereotypes, hate and lies and fan the flames of already fragile and tense situations, thereby undermining democracy. To me, that aptly captured the growing and worrying trend in Nigeria which actually started with the mainstream print and broadcast media, and now appears to be exacerbated and even made easier by social media. Historically, the exaggerated and sometimes stereotyping of Africans has been the forte of the Western-international media which is cultivated and entrenched in the mind of the average Westerners due to biased, unfair, inaccurate or exaggerated reports. With so much already written and documented about this, I hardly need to repeat what this entails. However, the two most common of these involve first of all, that Africa is regarded more as a country and less as a continent. Never mind that the African continent comprises of 53 distinct countries from Arab countries like Libya, Morocco and Tunisia north of the Sahara those in the southern part like South Africa, Namibia and Zimbabwe all with varying levels of development and standards of living. The very diverse people not minding the distinct peculiarities of their origins, their socio-cultural, economic and political environments and even variations in race, skin colour, ethnicity and religion are all clumped together and referred to as if they all come from one country, the African country. However, things are gradually looking-up as the international media is ‘gradually’, albeit painfully slowly making effort in portraying more positive images of Africans and African countries and the socio-cultural, geographical, political and economic diversities they embody e.g. identifying Nigerians as distinct from Ghanaians or South Africans or Zimbabwean. In addition, Africans themselves are coming up with TV shows and documentaries showcasing the best their various countries have to offer such as Studio 53, the Nigerian talk show Moments with Mo and a host of others, showing that far from being a war-ravaged barren and arid expanse of space, there are big urban cities, middle classes, universities, office complexes, research institutes, shopping malls etc. And lastly, the social media has provided an incredible platform for young Africans at an individual level to connect to the world and correct many misleading stereotypes by showcasing their potentials and rich diversity of the continent. According to CNN, Nigeria has a staggering 43 million internet users. This probably explains why there are Nigerian commentators on almost any important international issue on many popular news websites like CNN, BBC, Aljazeera, The Times online etc. Despite all this optimism, the very disturbing phenomenon is that while the Western media is making some effort at transcending their traditional stereotype-laden coverage, the local media in a number of African countries seem to be taking over this gap of stereotype-laden coverage in spreading negative, exaggerated and often-misleading stories about and within their own countries. And in this case which is mostly prevalent in countries with deep ethno-religious divisions like Nigeria perpetuated by horizontal inequalities identified by Oxford university-based Abdul Raufu Mustapha as educational, economic and social inequalities, and therefore some of these divided groups tend to be better-off, more educated than others and therefore, logically with a greater media presence than other groups. These inequalities in socio-economic contexts and media presence, added to the ethno-regional cleavages, competition for power and influence, the divisive 2011 elections and the power of the internet is a POTENTIAL recipe for disaster. These were issues that I raised at the conference. However, one of the panelists, Ian Douglas of The Telegraph newspapers reminded me that while my concerns were genuine, it was not entirely unique to Nigeria as hate-mongering individuals particularly in cyber space abound everywhere. It was a similar thing that happened in Kenya in the aftermath of the 2007 general elections where the media, particularly local language radio were responsible for fuelling ethnic hatred and violence . Thus, possible gaps left by the international media local media in some Sub Saharan African countries particularly in the case of Nigeria appear to be internalizing and localizing stereotypes against fellow citizens and social media appears to be following this pattern as well. Just as the international media had the habit of regarding the African continent and all the constituent countries as if it is one country and entrenching that image in the minds of non-Africans, so also in the case of Nigeria the mainly southern-dominated media has traditionally cultivated the image of the other part of Nigeria – the North as if it were a single homogenous entity conveniently forgetting or ignoring the fact that it is made-up of 19 states, most of which have up to 10 or more distinct ethnic groups. For instance Kaduna state has is comprised of the Hausa/Fulanis, Kajes, Jabas etc; Borno state has Kanuri, Babur, Bachama, Shuwa etc; Kogi state has Igbira, Igala, Nupe, Yoruba, Hausa/Fulani so does Taraba, Plateau, Adamawa, Niger and other states. Though Muslims are in the majority, there are a significant number of Christians as well within these groups. However, the media for the most part clumps these diverse groups as one ‘homogenous’ entity – the North which in most cases surreptitiously implies Hausa/Fulanis the majority group. This might seem mundane but it is quite surprising and ironic that our sisters and brothers in the South – the South-East, South-South or South-West are actually unaware of these diversities in the north and believe the North is entirely made-up of Hausa/Fulani Muslims while all the Christians in the north are originally from the South. North is easily substituted for Hausa/Fulani-Muslims. This misinformation has been deliberately perpetuated by the media over the years, for reasons ranging from naivety, political mischief, malicious intent or just plain carelessness with grave consequences. For example, when the media starts making reference to the “North” having ruled for over 30years out of the Nigeria’s 50years of independence, it implies that the Hausa-Fulani-Muslims have ruled for those “over 30years”, while there are elements of truth there, it is exaggerated and in most cases for malicious reasons. For example General Yakubu Gowon, the military head of state who ruled for 9 years between July 1966 and 1975 is a Northerner yes, but a Christian from Kaduna state. What is the point of all this? Just to emphasize that it is these subtle omissions or carelessness or mischief by the media that laid the foundation for or at least aggravated the deep-seated prejudice, aggressive and hateful attacks in cyberspace and even the print and broadcast media Hausa-Fulanis are being subjected to these days. Concerns have been raised by journalists and commentators like Mohammed Haruna, former aviation Minister Femi Fani Kayode, Ishaq Modibbo Kawu and numerous bloggers and activists. Secondly, just like the international media was (and to an extent is still) in the habit of portraying Africans as prone to violence, superstitious, and generally backwards so also is the Nigerian media prone to this tendency to erroneously classify all northerners (read mostly Hausa/Fulani-Muslims) as backwards, illiterate or even when educated are mere simpletons who are inferior, this has been so propagated by the media and ingrained in the consciousness and psyche of people from the South particularly the ones who have never been to the North who have not lived there or interacted well with people from there. This is something an average educated person from the north encounters almost on a daily basis at work, in school, in professional environments. A few years ago during my National Youth Service, some of the people I worked with from the South told me several times that they had no idea people and especially women from the North were “this” educated. Sometimes, this statement was made in such a naïve manner that onesimply laughed it off, and other-times it was very annoying, irritating and condescending to say the least and one had to remind them that there are a number of universities amongst several other tertiary institutions churning out graduates every year in the “North”, not to mention the hundreds if not thousands of “northerners” studying abroad in several countries. Another incident was a few months ago, here in the UK in while having a conversation with one of my fellow classmates from the south-east on a module which we all wanted to pass with very good grades, he said that I needn’t be worried after all when I graduate, I would simply be married-off as second or third wife to a “governor” (implying a rich, old man) as he said. I laughed-it-off and did not even bother responding to the obviously condescending statement. On the national front, people like Sanusi Lamido Sanusi who made efforts to sanitize the very rotten Nigerian banking sector and prevent economic collapse was initially labeled by mostly the media as embarking on plans to “islamize” the banking sector because he is a “jihadist”. Thankfully, that label never stuck to him, and it never deterred him from rescuing the ailing economy from impending collapse. Also, General Buhari, the only presidential candidate in 2003, 2007 and 2011 with any real chance of unseating the ruling hegemonic PDP with his impeccable reputation and integrity very unlike the string of corrupt and mediocre Nigerian politicians was variously maliciously labeled by the media as a jihadist bent on islamicizing and introducing Sharia Law to the whole of the country simply because a careless journalist misquoted him and despite the General’s numerous clarifications on the issue, it has been futile to say the least. This aptly captures the situation particularly with regards to the frequent ethno-religious and communal violence that have occurred in the several parts of the North recently, and how only victims from one side are recognized while the other side, even if it suffers casualty is disregarded by the media or not given due attention, and oft-times is regarded as deserving of whatever befalls it, such as the calculated massacres in Zonkwa and other parts of Southern-Kaduna of Hausa- Fulanis in the recent post-election violence which has yet to be given due coverage by the media. This portends danger for stability and cohesion and possibly a prelude to a form of social exclusion. Therefore, this is where I believe the enormous potential of the social media could make or mar the difference. It could potentially provide a platform for all honest, sincere and well-meaning Nigerians to tell stories as they are without misleading and false colourations, political and sectional interests; devoid of bias or stereotypes, or it could simply project and magnify these stereotypes on a larger scale, perpetuate prejudice and aggravate the fracture within the Nigerian society. One desperately and fervently hopes the former is the case even though at the rate, people post hateful and offensive posts and materials on Facebook, Twitter and online Nigerian forums like Nigeria Village Square (NVS), it does not give much room to be very optimistic…only time will tell. It is always a pleasure to read your articles. This article and ODI point of view of the social media reflect very much the challenge of the new communication opportunities. Until the last twenty years we were limited to official media that, as you pointed out rightly, tended to be or appear bias. I would like to raise the fact that synthesis and simplification due to both the space available in the media and the knowledge of the general public have also led unintentionally to stereotypes. With internet, we have had access to an impressive new amount of information coming from various sources and it has become very challenging to reach them and find the time to read all of them. The difficulty has also comes from the incapacity to verify the information and to understand the hidden agenda of the authors. However even if new prospects often come with side effects, I agree with you, social media has given opportunities to honest and concerned people to communicate as never before. It facilitates the creation of platforms of well-meaning individuals and groups and the diffusion of their findings which had been missing. Most of all, it should be underlined that the use of communication to steer-up violence has been a common feature throughout history but the extraordinary opportunity the social media has offered us to unit against it has clearly been a new alternative. In this case, it is not so much the possible sidetrack outcome we should focus on (and this despite the fact that we need to counter it) but rather the new input and process it offers. Life is about determination and actions and even though if it is difficult to imagine we will be capable to overcome offensive posts, stereotypes and manipulation, the fact that the social media gives us new opportunities to connect and express worldwide is what matter the most. It has facilitated the combination of bottom-up and top-down approaches that I believe are necessary to improve all aspect of life, or should I say all aspect of politics. It’s not even just a north/south thing. Even in my state people think and say a lot of interesting stuff about people from different towns. My mum always warns me to stay off women from a certain town when i want to get married cos they are very ‘tough’ and will make life hell for me. And also to avoid ladies from a particular family or clan cos they don’t ‘remain long in marriage'(lol..you know back home marriage is still serious business). Maybe some 40 years ago a couple of women from there happened to be bad wives, so it now means that all ladies from that family are ‘potential bad wives’. It’s just funny. Well that’s just on a lighter note. Again you’ve given some food for thought. Weldone job zainab keep it up. Wao that’s an excellent piece zainab! Allah ya saka miki da alheri, amin. Its unfortunate that those things are happening considerring the fact that we are in a digital age. What is baffling me most is the how southern media are playing politics with them just to undermine us being people from the north! I hope with this educative article of yours, our southern compatriots will begging to correct this unfortunate practices.